We need more leads! You hear it all the time. But, is a lack of leads really the issue? Or, are you missing low hanging fruit in your marketing and sales process that could have a major impact on your bottom line? On this episode of the Senior Care Growth Show, Jason McCloud, Director of Digital Marketing at Benchmark Senior Living, shares his insights on what you can do to improve your sales pipeline and close more leads. Listen now or read the full transcript below. Winston: Welcome to this episode of the Senior Care Growth Show. My name is Winston and I am super excited today to be joined by Jason McCloud. Jason is the Director of Digital Marketing for Benchmark Senior Living. He comes with just a wealth of experience from all facets of the senior care space and Jason we’re super excited to have you. Jason: Thank you, Winston. Really appreciate the opportunity and look forward to the chat. Winston: Yeah, absolutely. So just by way of introduction, maybe you can give folks a brief overview of what it is that you do and what you’ve been up to these days. Jason: Sure, absolutely. So as you mentioned, I’m Director of Digital Marketing for Benchmark Senior Living. Prior to that I’ve also worked on the owner-operator side at Brookdale Senior Living for a number of years as well as Elmcroft Senior Living. As well as had some experience on the lead aggregator or referral partner side at Caring.com as well as the agency side at Sage Age strategy. So, I’ve seen a lot. I’ve gotten to experience a lot in my 10-year journey so far in the senior care industry and really blessed to have done so. Winston: Yeah, that’s awesome. So you really do have a lot of experience from different angles of sales and marketing in the senior care space. Tell me, from your experience, what have you seen as best practices when it comes to generating leads or lead intake as we might call it a for senior care communities? What kind of processes and best practices should people start thinking about? Jason: Sure, absolutely Winston. So lead intake is a huge opportunity that I think is not leveraged enough at the owner-operator side. I’d say Caring.com, A Place for Mom, the lead aggregators are very good with lead intake, processing leads, following up on leads. To be able to convert those from an inquiry to a tour to referral for the communities as well as helping that move-in conversion ratio. So, they’re very good at what they do, but I think the owner-operators side in the industry could do much better. In looking at how they’re intaking leads, how they’re processing leads. It’s very, very important and I think your organization just recently, at the SMASH Conference, did a great survey and I think some of those results came back with some really not so surprising things, but I think the number one opportunity and need for the provider or owner-operator side was more leads. Jason: So we hear this all the time. I hear this all the time. I hear this not only at Benchmark, but you know, other friends throughout the industry as well as just talking about well if I just had more inquiries or more leads, naturally I’d have more move-ins. And that is somewhat relative obviously, but, it’s not necessarily always the number one answer. So providers I worked for in the past, I’ve been able to work with them to uncover (much like we’re doing it Benchmark today) what are the hurdles that we have in terms of our lead intake. How are we intaking leads, how are we processing leads today, how are we doing it most efficiently to impact, our bottom line, increase occupancy, increase our ROI on our marketing spend? And so I really believe that should be the number one opportunity that providers, owner-operators should be looking at, is lead intake capabilities. Systems and capabilities as opposed to what we just need more leads. Because honestly, if you really look at the data , so we’ll talk about what those best practices in a moment, but if you really look at the data, I bet it’s going to show you that you not maybe had more leads than you need, but you have more than you understand that you do have. So talking about leads coming in from phone calls directly to your communities, do you know how many phone calls and lead opportunity you’re getting there day to day? A lot of organizations just really don’t know those numbers. So again, they think, well, if we just buy more leads, we’ll get higher quality leads, we get more move-ins higher occupancy rate. But again, it’s somewhat relative. But, I don’t believe that’s really the first way to look at it. Jason: I think you really need to look at the data because if you’re buying leads now, let’s say you’re paying $100 cost per qualified lead, which is a pretty good price, are you really buying it at $100 cost per lead in terms of are you really getting that ROI when you start backing it out or is it really higher? Because there are a lot of leads that you are buying that we call falling on the floor – that you’re not optimizing, that you’re not following up on, you’re not getting proper contact information, you’re not making multiple touch points. So you’re not able to convert that inquiry into a lead and then to a tour, then to move-in. So I think there’s a lot of opportunity now in the industry for owner-operator providers to really look at lead intake processes to really impact their bottom line. Jason: I think that would be their biggest opportunity to impact their bottom line now, especially in such a competitive space that we’re all in. So obviously there’s a lot of market pressures. It’s not just new development and dollars coming in. It’s not just maybe aging assets that might not be just recruiting and retention issues those are all real things that are all impacting the bottom line, no doubt, but how can you be competitive in today’s marketplace where you really need to get very, very good, at lead generation, lead nurturing? And all that takes good intake and a good lead generation pipeline. Winston: Yeah. And so talking about lead intake, you’ve mentioned a few different channels. But it sounds like it’s more than just paying for more leads. There are other ways you can generate leads and you need to start thinking about those different channels, right? Jason: Absolutely. Absolutely. So there’s as many ways as we all know to generate leads. It’s not just online, it’s just not, it’s not just offline as well. It’s feet on the street, it’s looking at your ground game, your air game. There are so many different ways. We might start seeing a decline in areas like professional referrals whether that’s from social workers or discharge planners, we might be seeing that. But they’re still a great opportunity here. They still close at a pretty high rate so we want to continue to make sure that we’re doing our best to optimize that channel. But as we all know, 60% of inquiries now are coming from online. So, yes, it’s just one source. It might be a lower qualified source, but you have higher opportunity in terms of not only generating more qualified leads to more move-ins, but also at a lower cost. Jason: And so, to be able to do that and do that well, you really need to have a very efficient lead generation pipeline. And it really comes to intake and processing and in terms of best practices. I would really look at it your organization take a step back and really look at three things. So number one is data. You have to have the data. You have to know where your inquiries are coming from. How many inquiries of that 60% of online inquiries are coming in via phone, where those inquiries being routed to? Are they right to the front desk at the community? Are they able to take an inquiry or the ability to advance a sale, not only advance the sale, but just take proper contact information consistently? Probably not. I can’t tell you how many times I’ve listened to hundreds, if not thousands, literally, of calls, how they’re being handled at the community level and sometimes at different levels it gives me a new regional or can even be at a call center, but how are they handling the intake of that call? Jason: And we do know that you’re going to get two to one phone call leads over form submissions. But are we tracking that? Do we have the data? Do we know where the leads are coming from? Do we know how we’re processing that lead and are we doing the best of our ability to process that lead efficiently? And I would just say it’d be so bold to say that the majority of providers, owner-operators that I know aren’t necessarily doing this and doing it well. It just takes a few mystery shops or whether it’s Caring.com or A Place For Mom you’re working with, they do mystery shops. They’ll show you those results and pretty quickly you can start seeing your follow-up times, how quickly you’re following up. I mean that really that speed to lead that followup, and we’ll talk about that more detail in a bit, but how that impacts your closing ratios. So it’s really important to have that data, number one. Jason: Number two, it’s really about integration. Are your systems integrated. Is your mar tech stack integrated? What I mean by that is, is your CRM integrated with either your call center or is it integrated with your inbound and outbound marketing platforms? Because if it’s not integrated or with through referral partners, then you’re not able to get that inquiry real time. You’re not going to be able to make sure that you can funnel that to the correct person to follow up as quick as possible, but also make sure you’re consistent and constant contact information. As you start taking them through the buyer’s journey. From a marketing standpoint, you know it’s all about how many touches, how engagement points can you make with that consumer, that prospect, to advance the sale. We all know the more engagement you have and the more time you spend with the prospects and develop that trust and relationship, the better chance you have to convert them. Jason: It’s not rocket science, but are your systems integrated to be able to do that to be able to help augment what you’re doing offline with your sales teams who are in all these touches? So I would say data number one, number two would be integration with systems. And then number three, call center capability. So I know, working in the space for a number of years, I know that in the last five years or so, more and more provider owner operators are getting comfortable with call centers. I know there are still many in the space that are uncomfortable with call centers. You know, there’s a negative connotation I think with some providers out there that abuse call centers before in the past that are really just glorified, or I should say can be, glorified answering services. Jason: So they’re not very empathetic. They’re very scripted. Obviously that’s going to potentially have a more negative effect on consumer engagement, than it would be to be continuing to route these calls directly to your communities. But I would say that, having a call center, whether that’s in house, which we do at Benchmark and we’ve seen great success with that because they’re truly an extension of our sales teams and that’s get back to that point how critical that is. But even if you’re working with a third party vendor it’s really important that you’re working with them, to make sure that calls are scripted, that they’re trained to be empathetic, that they know everything there is to know about your community. It’s very important that you can speak to the community – what makes that community wonderful and different from other communities. Jason: They need to be able to answer just about every question that your sales folks at the community building. Because if they can’t, then you immediately start getting cracks within that relationship with that consumer or that prospect who expects you to know the product and service that you’re offering. They expect you to know about this community that they’re inquiring about. And it can make that hand off a little bit rough if they are not experienced enough at that first touch level. So it’s really important for a call center to be successful again, whether that’s in house or with a third party vendor, that they really become an extension of your sales team. That again, they really know how to talk to prospects. They really know how to build that level of trust and really be able to advance the sale. Jason: It’s really important that you really start looking at how many touches and how you can advance the sale of your inquiries, before they get to the community level, before they get to a sales and Marketing Director. Because those folks really should be spending their time, in the selling zone. I’m a big fan of David Smith’s selling methodology. You know the Sherpa model. It’s all about prospect-centered selling. I do believe that. How much time can you spend with them, but if you don’t have a really efficient pipeline in place and you’re just dumping all the inquiries at the community level, good luck. It’s not going to work for. You might think more is more. But no, more is worse. And you’ll start driving more inquiries and start seeing conversion rate going down because your their sales folks just can’t handle that volume. Jason: They shouldn’t be spending their time trying to weed through the haystack to try to find those qualified inquiries. They should really be spending their time focused on selling and selling should really mean spending time with prospects to build that relationship, building that level of trust taking them on tours. Offering them opportunities to come into the community as well as offering the opportunity to come to their home doing home visit and learning more about them and their family and their needs. So that’s really where the attention I believe of the sales folks today should be spent – more in that selling zone. Then trying to qualify or quantify leads that are coming through, whether that’s online or offline. Winston: Yeah, that’s a great point. So you mentioned a couple of things: data and integrations, call center capability. It sounds like in order to have sales folks focus on more qualified leads, you need to build out those systems in order to deliver the qualified leads to them. So, it’s obviously about lead intake and getting, the number of leads in, but what are some things that a marketing folks can do or systems can do to help to identify those qualified leads to get them to the sales folks? Jason: Absolutely. Great question. So yeah, you definitely need to build out the infrastructure. So thinking about the buyer’s journey, the prospects journey as a sales funnel where you need to look at and think about your your lead intake and pipeline, just like a lead funnel. So you could dump a bunch of volume in the top, but how are you able to process that volume. So it’s not just having bodies and people answering phones and sending emails, or following up via phone. It’s really about the systems that you have in place. So obviously you definitely need people, but then you also need integrated systems. You need to use things like lead scoring, you need to start using techniques like last in first out. Jason: So if we’re talking about speed to lead, and again we’ll talk a little bit about that in a moment of what that entails, but you really gotta get smarter, at how you’re triaging your incoming inquiry flow. What are the inquiries that you know, and it could even be by source. So if you don’t have the budget to have an internal or external call center, there’s a lot of things you can do with your regional teams, with still your community teams, depending on how your community’s made up. If you have a sales marketing director and they also have a marketing coordinator, you could utilize their time a little bit, but you know, you can still look at resources you have and still build an efficient lead pipeline or as efficient as you can, but using techniques and using technology to do things like lead score, and to be using pieces of data that’s going to tell your teams which leads they should be following up on, how quickly and when and from what sources to be able to prioritize that for you. Because if you’re just trying to catch everything you possibly can again, at the community level and it’s just everything’s coming in inbound, you’re really not going to be able to process that efficiently, effectively. And really it’s going to be more detrimental I think, to your conversion rates, to your bottom line doing it that way. Winston: Gotcha, yeah, that sounds great. So really in order to drive those more qualified leads to get them in for a tour, got to use things like lead scoring, triage the leads that are coming in, get them to the sales folks. And then from the sales standpoint though, we know that the tour to move in period is really, really important. What can organizations do to close more leads who come in for tours? What? What’s your advice there? Jason: Yeah, great question, Winston. So as we all know in the industry, the number’s about 40%. So you have a 40% greater chance to convert them to a move-in if you get them in for a tour. So tour’s are gold, they really are. But you know, it takes a lot to get that tour. And I think again, when we’re talking about that pipeline and efficiency, it’s really important to look at how you’re getting to that point with prospects. But from the point of tour to close, it’s really important in terms of again, time in the selling zone. How much time are you able to dedicate to that prospect? You know, once they take that tour and beyond. How many touches, how many more engagement points get meaningful engagement points can you make with that prospect. it doesn’t stop at a tour. Jason: It doesn’t stop at qualification it goes all the way through to the sale and good sales folks know this, but also a good sales folks, I believe in the industry, again, it can be overburdened by try and do intake inquiries from all different levels of the funnel as opposed to really being able to focus to spend that quality dedicated prospect-centered selling time with whether it be Mary Smith or Tom Smith, to get them from that tour all the way through to close, and that’s huge. And I think we’ve seen success with that at Benchmark. The more that we can take, in terms of a funneling away from the sales staff in terms of the initial engagement. The more they can spend time on the prospect themselves and build that trusted relationship, as well as be able to increase overall conversion rates by, again, allowing them to do their job while we’re doing our job from the marketing and sales standpoint at the top of the funnel to create more efficiencies. Winston: Yeah. To me, that really speaks to the need for aligned marketing and sales teams. Is that something that you’ve seen in your experience, the importance of kind of combining those two teams are getting them on the same page? Jason: I do, Winston and interestingly enough I think which maybe still, I think a quirk in, in the industry is that the industry has always kind of looked at sales and marketing bucketed together. You know, I kinda see it as well from an operations standpoint, it’s great for your bottom line if you know you have a sales and marketing director rather than a sales director and marketing director all the way up to the corporate level. I think there has something to that has something to do with it. But I think more and more organizations, and we’re seeing this, are dedicated resources and budget to having dedicated marketing skill set and expertise as opposed to, just having it lumped together. So I think it’s best for organizations if they have dedicated marketing expertise and dedicated sales expertise. Jason: They’re two different functions. Two different skill sets. But absolutely those two need to work together, hand in glove, attached at the hip. It’s very important. If you’re disjointed in any way, those two teams, it’s really not going to work. You’re not going to have the sufficient lead flow, you’re not going to be able to efficiently be able to meet all those touch points. Whether that’s through, again, whether that’s through offline marketing, online marketing, so on and so forth. Whether that’s through your call center through your regional teams as well as your community teams you’re not going to be able to work together to be able to make sure that consistently you’re all trying to hit on all those touch points all the way through the funnel effectively if you’re disjointed. If you’re not it’s, again, it’s, it’s just you’re gonna be burning a lot of time when you’d be throwing everything against the wall. You’re going to be hoping that marketing’s doing marketing and sales is doing sales and at the end of the day you might have sales saying, hey, we just need more leads. Jason: And then marketing just saying, Hey, well you need to close the leads we are giving you and you know, we know that argument in the industry. That back and forth and again, that can be unhealthy for your organization. So I really think we really need to, to understand as an industry that it is two different skill sets, marketing versus sales, but both need to work hand in glove together to really be successful, especially in this very competitive marketplace that we’re in. Winston: You make that sound easy. Getting marketing and sales on the same page. What are, what are some of the challenges you’ve seen with a kind of bridging the gap between marketing and sales? And what advice would you have for folks trying to get those two teams aligned. Jason: Sure. First and foremost communication, ? I mean, that’s really what it comes down to. Are you communicating? Do you have ongoing inner department meetings? I know at Benchmark, we have a great system of communication. We work hand in glove with our sales teams. We’re literally in the room with them every week. So we have our sales and marketing meetings. And if there’s anything that needs to go that and then we’ll have an offsite or will work directly with the sales teams in the field. So it’s really important that you have those relationships. You almost have to think of yourself as one department even though you have to separate functions, goals, but you really have to function as one team. So communication number one, and then I think number two is education. Jason: So even though we’re both realizing, maybe both departments are relying on each other to do their job and to do it well, each side needs to be educated, what the other side brings to the table. What they’re doing, why they’re doing it, what’s the strategy, what are the tactics. And what are the success measurements and goals on each side. Are those aligned? Are they aligned? Really importantly that each side is not only communicating but educating each side with what they need, what they’re hearing, and so on and so forth. What’s working, what’s not working. So you can quickly optimize and continuing to move forward and be successful. Winston: Yeah, that’s a great point. I think on the education side to it goes back to building that lead intake a funnel and the processes. Making sure that you’ve got the data and the integrations. I mean for me, the integration piece of this is huge. Where if you’ve got the marketing side and the sales side, those two systems, at least talking to each other, you get good data throughout that system. Have you found that to be true in your experience and what, what tips would you have for folks? Jason: Yeah, absolutely. So as we all know though, with CRMs the data is only good as it is important. So it’s really important. I think again, critical that sales and marketing are working together because marketing is really relying on that data knowing that it’s not a hundred percent pure, but it’s the best data that marketing has to make key decisions and where they’re going to spend their marketing dollars. Again, whether that’s offline or online and what channels or what tactics what’s working and what’s not working. And really you can only look at data. But again, that data a lot of times is generated and owned and managed by the sales team. So it’s really important that sales teams I, again, I understand a sales and marketing directors at the community level are just overwhelmed. By and large in the industry now, they’re overwhelmed with – I’ve got to spend time outside the building where that 67 percent of the time developing professional referrals, I need to be doing tours and need to be entering data into the CRM. Jason: I need to be following up on Internet leads, all these things that they’re tasked to do sometimes even beyond that there’ll be serving meals and helping move new residents in. I’ve seen it all and really it’s to not only their detriment but also the detriment of the organization, that community or organization. It’s really going to impede them from having the success that they really would have if they really, again, we look at how they’re intaking opportunity, how they’re processing that the time, where the time is spent with the sales folks. You know, how they’re focused on, again, spending more time in the selling zone rather than wearing all these different hats so really, really important there, that they are really able to focus, but that your team, your organization, again, from a marketing standpoint and a sales standpoint are working together and giving the resources and capabilities, to your communities, to your teams so they can be successful. Winston: This stuff all comes kind of full circle. It’s the investment in the data, the integrations and it’s taking the time to do those things and analyze your intake and your processes so that you can free up time ongoing for the sales folks to focus on the right leads and then they’ll have time to input those notes into the CRM or maybe more time to at least give good data back to the marketing folks. So lots of different moving pieces here, but what would you say would be first steps for, maybe someone in a marketing position or someone who’s in charge of marketing and sales for an organization to clean up their processes, clean up their lead intake? Where should they start with all this? Jason: Sure. Great question. Well it sounds bigger than I think it really is. I think the biggest challenge I see, and I’m going to go to the challenge first and then try to address your question, but you know, what are the biggest challenges I see is that lack of knowledge and expertise on the owner-operator rater, provider side with not only marketing but innovation and change within sales strategy and tactics. So the things that we’re talking about here and that’s why I love these opportunities to be able to talk to you in the industry about all the opportunity that there is in the industry and really where there’s the bar is I believe, set not that high for most of your competitors. And I think that is a great area of opportunity. And I think the barrier of entry to some of these things that are pretty low, although if you don’t have the experience, again, you listened to this podcast and you think, wow, yeah, that’s great, but you know, I don’t have the time, money, resources and effort to be able to deploy something like that. Jason: Which really, if you had the knowledge and expertise, it’s not as tough as it really sounds . But where I would start is again, I would start back looking at the data where are your biggest areas of opportunity? I think if you would ask the majority of whether it’s marketing folks or sales folks or sales and marketing folks not just where’s the volume of your inquiries coming from. They can easily say, well, Internet 60 percent, 40 percent offline or you know, they could break it up, but really beyond that, so where are qualified inquiries coming from. Not only that, but what are the tactics? What are the marketing strategies and tactics that are driving those qualified inquiries? And then how are you actually taking a qualified inquiry and converting that to a tour and then to a move-in most effectively? Jason: Figure that out first. And then once you figure out that sort of secret sauce, what’s working for your communities, your teams today, then double down on that. That would be number one. Doubled down on that. None of that would say, look back at integration. Are you integrating? Then there is really can be integrated more to making more efficient, and making sure that you do that. So you’re not losing data that you’re able to capture data real time that you’re able to be consistent with the data that you have. Again, not just so you can follow up properly with prospects, but also that you can continue to follow up with them and that you can continue to build that profile. So you continue to engage them throughout the entire buyer’s journey. And again, it’s really important that that is accurate. Jason: And then besides the integration, again, back to call center capability. You can’t do it all sales and marketing folks at the community level can not be wearing all the hats that a lot of them are wearing today. I know there again, there’s many providers, like Benchmark that are being innovative in the space. That are looking at call center capabilities in-house or external. They’re looking at multiple levels of call centers, or a two tiered system, a lot like lead aggregators are using like Place for Mom and Caring.com. It’s really how can you process volume and get that meaningful volume down to those I would say very qualified tours where we used to call hot leads to then those golden tours? That we all want so bad, but we want to make sure that when we get those tours, and that high converting opportunity, that our sales folks are laser-focused on that and able to convert that at a very highest level. Winston: Yeah, I love that. So look for successes, learn from them, amplifying and repeat those successes and invest in what’s working. Build systems for volume and look at integrations that might help you save time and get better data. Then you can free up the sales team to focus on what really matters and that’s those qualified leads and helping to move from a tour to a close. Jason: That’s right. I couldn’t say it any better. Winston: I love that. Well I’ll try and recap all what we’ve talked about. So many big ideas, but I think a lot of this stuff to your point is really not as hard as it sounds. I mean, just let’s take those steps. Let’s look at what we’ve done, what’s been successful, let’s build on it and let’s take a look at how we can build some systems to handle that lead volume. And I think that’s all great advice. any other thoughts for the audience today who is listening to this podcast? Who’s ready to get going? Any other final thoughts or takeaways? Jason: I would really just say start small. Take it one step at a time. You know, it might sound like it it can be very involved, can be very technical, when you start really getting into the minutia, really start getting into the weeds of integration or how systems are connected and you know where does that lead go first, to which database first and then to the next database and what are the the event time triggers and what are the pieces of content and how personalized is that content. It can sound very overwhelming and it can be, but let’s start small. There are so many areas of opportunity. I think in terms of, again collecting data, getting systems in place to collect, aggregate that data on a regular ongoing basis. Jason: As well as again, looking at integration with your systems. You know, looking at test piloting a call center, whether that’s with a few of your communities, whether that’s in house with a few of your sales folks or regional teams or maybe externally looking at some vendors out there. There are some great vendors out there that do a great job of really getting to know your communities really working with you as an extension of your sales team. So I think they can be invaluable. But then also just again, starting small start with one or two of these things. I think one of the other in terms of methodologies would be speed to lead. Look at again, how quickly are following up on an inquiry. That will say everything. So that will tell you where your opportunity loss is. If you’re not following up on every inquiry within five minutes, then you’re not meeting a sales and marketing standards of obviously not our industry yet. Jason: It will be some day, hopefully soon, but other industries. So we know that if you cannot contact somebody within five minutes, then you have a hundred times less chance to contact them. Meaning the contact ratio just starts dropping. And why is that? It’s because we’re all so busy we get phone calls honestly, my wife just walked in the door and you know, you get distracted. Oh honey did you take care of this or do that, and so literally from not even one minute to the next, it’s literally seconds to the next that we’re distracted by an email or a phone call or another conversation when we get sidetracked and we’re programmed to want to be engaged. If I engage with you, I’m giving you permission then to engage with me. Jason: And really when I put the ball in your court, I put the onus on you to do your job of coming back to me. I’m not going to come back to you. I’ll give you one opportunity to come to me and meet me on my terms. And to be able to do that you need to be very good at how quickly you can reengage with that person to continue that conversation, start building that level of trust, and start building that sales journey. So really, really important stuff. So really there’s that and we also know that if you wait an hour more than your chance to convert that inquiry to a lead to qualify tour drops 50 percent. Huge. Huge. So I know there’s many organizations out there now. I actually did a speed to lead session at SMASH probably three years ago, I think the first year of SMASH. Jason: And I can’t tell you how many sales and marketing directors in the room when I said you have to respond to every inquiry at that time. I said within 15 minutes their faces were like impossible. Like he’s asking the impossible. I’m not only that, but then I also got a lot of push-back where, well I don’t want to pester or bother them because persistence is key to write. So it’s not just how quickly I can follow up with you, but then it’s persistent. How many touch points. So even if I have a voice-to-voice conversation with you, I need to be able to follow that up with an email communication or text communication or another form of communication as quickly as I can. We all know that it takes at least five touch points with your service, your product, service, or brand before someone’s willing to make the next step within the sales journey. So how many steps can I get? How many touch points or through those steps, how many touch points can I get to advance that conversation and that sale? So it’s really important that you’re looking at how quickly you’re following up on leads, but then once you get that down, it’s really how are you following up and then who’s following up on inquiries? And then how are you getting those through your system and what are those other touch points throughout the sales funnel? Winston: Yeah, and I think you touched on some really great points there too – the speed to lead is just so critical. And I actually, as I was preparing for SMASH last year, I did a bit of a test and did an anonymous test. I reached out to different communities within the area. I’ll leave their names out to protect the guilty. But there were, the response time was amazing some were right on point and they got back to me instantly. Others I didn’t hear back from at all. And I mean, I think that the person that’s looking at different communities now is not going to wait around for you to call. They’re going to move on to the next one. Jason: They’re gone to the next. It’s so competitive now where I might be sounding a little doom and gloom about the industry as a whole, but the industry is investing. They are getting smarter. You have competitors like Brookdale out there and others that not only have in-house but external call centers. And really obviously you’re competing with the aggregators to Caring.com, A Place for Mom. I mean, we’re all relying on them. I think it’s a great partnership. You should be working with them, I believe. Should have a holistic approach to lead generation. but at the same time there is competition there. Jason: And so you know that if you don’t follow up with somebody timely, then you’re going to lose that opportunity. You’re never going to get a chance to have that conversation, and as much as sales and marketing director to say, oh, I can’t believe that you’re really asking me to follow up within five minutes or 15 minutes. How can we do that? The number one answer is there is no, they shouldn’t be. You should have call center and a triage and a pipeline to handle that. They shouldn’t be the ones focused on that, but even if they are they’re overwhelmed by it or they don’t even necessarily believe in those numbers. Then you ask them, OK, well, how many times have you talk with a prospect? Particularly an Internet lead. You’ve talked to them, whether that’s five minutes or an hour or five hours or 12 hours later, the further you get from that initial touch point, they say, I don’t know how you got my information. Stop calling me. Jason: Really what that is, is just, they’re already overwhelmed because your competitors are calling them A Place for Mom and Caring.com chances are are spreading out two, three, four, five, six of your competitors. They’re getting barraged by calls within an hour. I believe within an hour if you don’t call, definitely within five minutes, sometimes you have to be even quicker than that, but outside of an hour, good luck having that conversation, because the prospect in today’s environment is just totally overwhelmed with contact by that point. and it’s unfortunate. I think it’s a disservice to the prospect and the consumer. But at the same time, those are the rules of the game. So if you want to play the game, unfortunately you have to play by the rules. Jason: Absolutely. Thank you Winston. Again, I appreciate the opportunity. I would love to address any questions that come through, so thanks again. I appreciate it. Winston: Yeah, this was awesome, Jason. 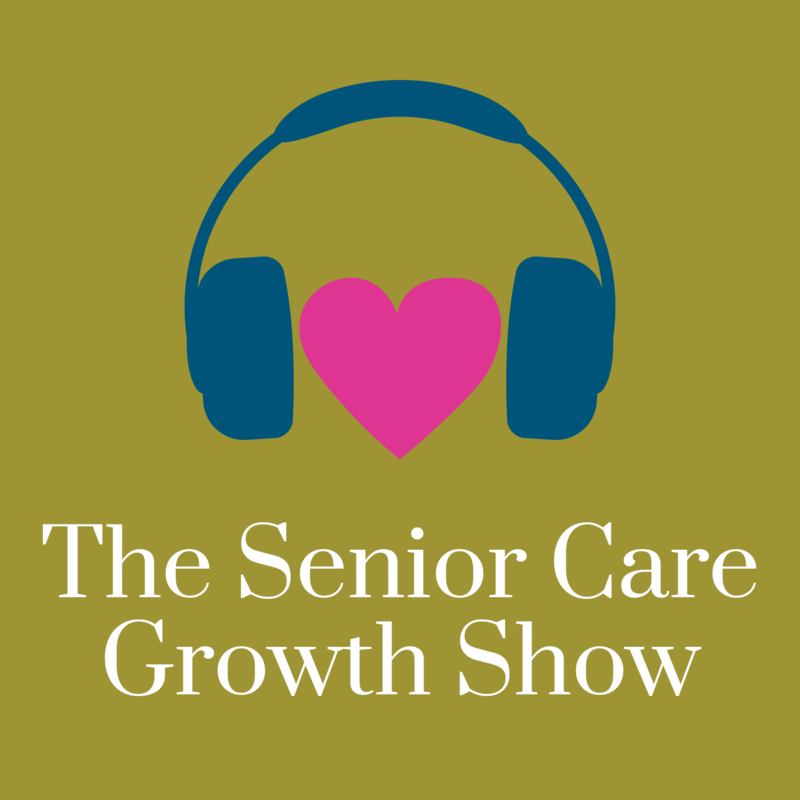 Thanks so much for the time, Jason McCloud, and we will sign off there and we’ll see you on the next episode of the Senior Care Growth show. Thanks a lot.